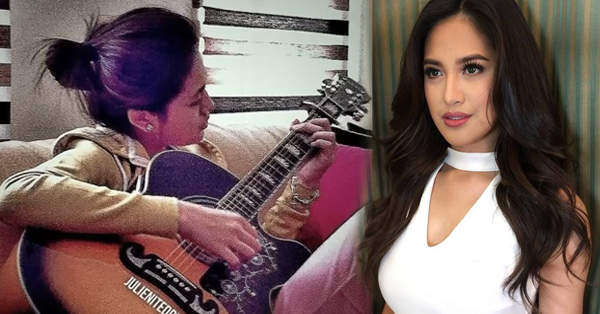 Julie Anne San Jose Strikes One Viral Song Cover that Now Rounds on Social Media! We all ready witness different cover of Justin Bibier's latest hit song "Love Yourself". Recently, one of the professional music artist of GMA kapuso star Julie Anne San Jose created her own version of this song.We can not deny that Filipinos are really good and very talented in singing. Her version is now giving rounds the social media. Many of her fans admire her more after singing this song. Some of them claims that Julie was so emotional in singing this song, because it seems like she wanted to deliver the message of the song to his past boyfriends. Listen to her angelic voice that surely will capture your heart as well. She is definitely one of good example of Filipina who has a very lovely and precious voice.